And so, one of the hardest and full on weeks started on Monday with me travelling to Great Missenden, the home of Roald Dahl. Twentieth Century Fox organised a press junket for Domestic and Brit press ahead of the World Premier of Fantastic Mr Fox, at BFI London Film Festival yesterday. It was a beautiful day – the sun was shining, the schedule ran more or less to plan and i got to take a second look at Roald Dahl and his fabulous story telling. 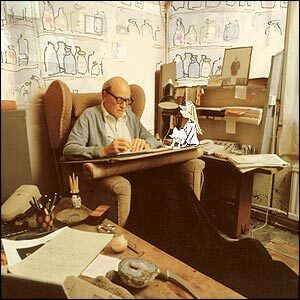 I realise that i need a writing hut just like Roald Dahl’s if i’m going to get published. It needs a battered old chair, family photos and an old filing cabinet. Dahl has his own hip bone among the nick naks on his desk, but I’d probably stick with pencil sharpeners and maybe a rubix cube or two. Liccy, his widow, has left the hut untouched, so it looks like Roald Dahl has popped out for a stroll and will be back at any moment. I visited the Roald Dahl museum gift shop and bought a collection of his short stories and his autobiographies; Boy & Going Solo. Boy has already made me lol on the tube. The Premier last night was amazing. Leicester Square was completely taken over, with a bridge between the Odeon and the Empire cinemas. BFI Director, Artistic Director, Amanda Nevill introduced the 53rd LFF, and then introduced Wes Anderson, who in turn introduced George Clooney, Bill Murray, Jason Schwartzman, Eric Anderson (yes, his brother!) Jarvis Cocker and Liccy Dahl. I wondered why Sophie Dahl has not been involved at all. I think she’s too busy launching her own book to help promote her Grandfather. ← Why Can’t I Pray?